GUJFLUORO (333) - Posted on 09th mar.and repeat on 18th mar. 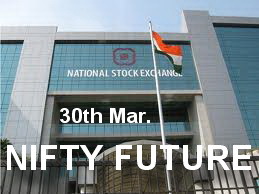 above 300 upside target 365 it attacked mentioned upside target of 365 on 23rd mar. (made high 370) from there corrrection is going on. if the correction not arrested between 333-329 fall continue to 300. MARUTI (1238) - On 18th mar. posted here last hope and support 1125. as posted, exactly it took support at 1125 from there yesterday it made a high 1250 now in upside face hurdle 1270-1290 but above that 1340. SESAGOA (287) - Above 280 upmove to 309 in between reisist at 299. TTKPRESTIG (2226) - From 03rd Dec. onwards. 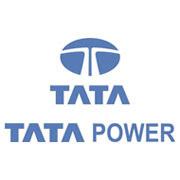 and from the price of 1655 onwards, three write up posted here and every time mentioned the same upside target 2200 yesterday as expected it attacked the mentioned target 2200 where it was made a high 2259 and closed at 2226.now what next ? As posted already, if stays above 2200 upmove continue to 2472. YESBANK (309) - As posted on 04th Mar. above 274, mentioned upside target 308-313,as expected, yesterday it attacked the written target (made high 310) now what next ? now hurdle 313 but even above that also, face one more hurdle at 318-320 but above that upmove continue to 340-344. ZYLOG (426) - Support 426-422, above this, face last hurdle 446-450 and afterwards, going to attack in upside 524.